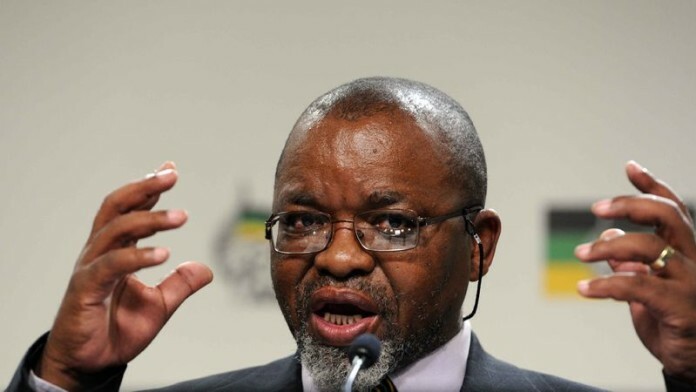 SOUTH African mines minister, Gwede Mantashe, expressed his dissatisfaction with the manner in which Gold Fields had handled the proposed retrenchment of 1,520 employees, including contractors, at its struggling South Deep mine, west of Johannesburg. Citing Mantashe, the Department of Mineral Resources (DMR) said in statement on the evening of November 26 that Gold Fields had adopted a “tick box” approach to the process of restructuring the mine, the first major job reduction undertaken there, says the firm. “We don’t believe the company is acting in good faith,” said Mantashe in the statement. “They [Gold Fields] have merely engaged in a tick-box exercise for compliance purposes. This is a disturbing approach, and we remain unhappy with the way the process has unfolded thus far,” he said. Mantashe’s comments come after a meeting in the evening between himself and Gold Fields executives in an effort to resolve a strike that has been called by a small group of some 150 representatives from the National Union of Mineworkers (NUM). Gold Fields did not issue a statement on the meeting. In the early days of the strike, which began on November 2, there was mine violence and employees wanting to work were barred from the mine premises. Gold Fields won a court interdict to protect employees who wanted to work, but it was not enforced as the company wants to steer clear of exacerbating mine tension. An employee was shot dead and others injured on the first night of a strike at Beatrix, a mine owned by Sibanye-Stillwater on November 21. The company said on Sunday that the situation had eased but it remained tense. It promised to provide an operational update. The DMR said it had begun “engagements” with Gold Fields in August to find alternatives to the company’s proposed retrenchment plan. It said the strike was “… a matter of great concern” as it had an adverse impact on the economy. “We continue to urge employers in the sector to be responsible, as we are dealing with people’s lives when we talk of possible retrenchments, and not mere numbers,” said Mantashe, who is former general-secretary of the NUM. Gold Fields is adamant that it has followed the correct procedures ahead of commencing retrenchments which it said was critical in order to preserve the remaining 3,000 people employed at the mine. At the time of its decision to restructure South Deep, the mine had leaked R756m in cash following a R295m outflow in the second quarter. In August,the honourable Minister of DMR issued a statement that he is not happy on how companies go about with the issue of retrenchment in South Africa. He was referring to the planned retrenchment by Goldfields where approximately 30 percent of the workforce would be affected. When one read the media statement by the honourable Minister, action was expected. To one’s dissappointment, the honourable Minister has repeated these words on the 26th of November 2018. This is three months later, South deep employees have been on strike since 02 November 2018. The economy of the country is at stake, the livelihood of these employees and their families is also at stake. All the Minister says is that he is not happy, really? This is an expression of how he says he feels. No indication of any intent to act at all, just an expression of emotions. We appreciate the fact that the Minister feels for the employees of South deep, that is only human. However, his expression of emotions does not sort out the problems of the desperate employees. One would expect a more helpfull strategy from the office of the Minister since it affects him directly as a head of DMR and a executive member of a governing party. With all humilty, it is regrettable that the Minister only issues carefully crafted statements that are only political correct, but do not seek to adress the predicament of our people. Thats what ordinary citizens are saying, they do not like the retrenchments that are happening in the country. It is understandable for them to say so, there is not much they can do even if they wanted to assist. Come on mr Minister, you can do better than this, the entire world is watching you. History will judge you severely if you let this happen under your watch without doing anything. You might not have answers for everything that is happening in the mining industry but I am sure you can do better than just being unhappy. Dealing with the strikes would require addressing the true motivation for them. Perhaps they have nothing to do with increases for the employees and everything to do with political and strategic manoeuvring by the labour unions and those that benefit from these disruptions. Unskilled and lower skilled labour are easily swayed by promises for betterment even though any increase, when offset by the loss of strike income, may actually be negative. If the promises are not enough, then violence and intimidation are used to ensure compliance for support from labour. There are several players within this, consisting of mining management, investors, labour employees and the union employees (not the members). The minister is an insightful man and more than likely understands exactly what is happening. The trouble is that management is a softer target than the union bosses and far easier to point the finger at. It is also difficult under the current economic circumstances to justify a pragmatic solution which is aimed at management. When caught between a rock and a hard place, expressing unhappiness is natural, although unhelpful.